One year after releasing the 360+ Pro work-alike DIY-Kit the project is still going strong with regular updates in my support forum and contributed ideas on how to make the (next) Deluxe version a reality. The 360+ DIY Kit contains all the layout and functional features of my 2008 Pro units but without making use of a costly EQ inductor. 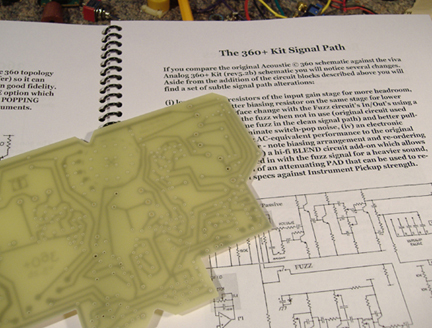 The kit includes a single PCB, a 44-page clearly-detailed (error corrected) 2nd edition assembly manual and costs $55US - this includes air shipping to USA/Canada, outside of North America please add $10 for air-shipping. 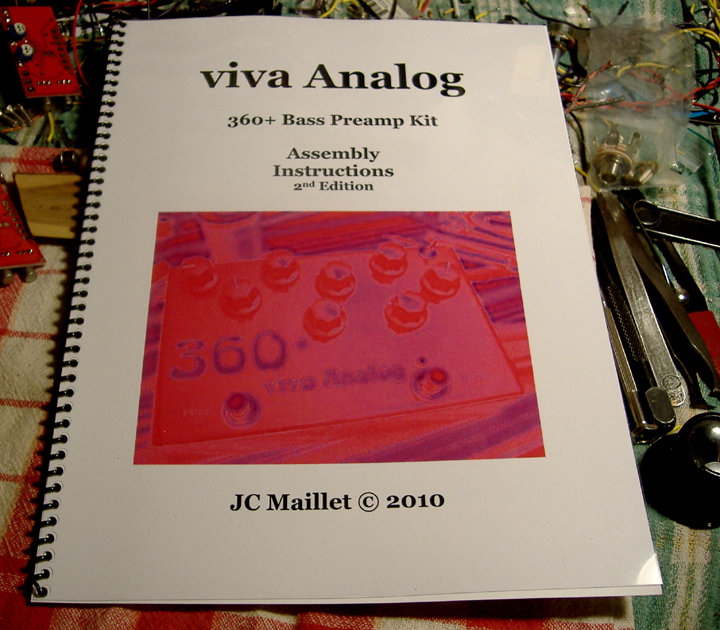 The purchase of the kit provides automatic membership to the "viva Analog DIY/Kit" forum. 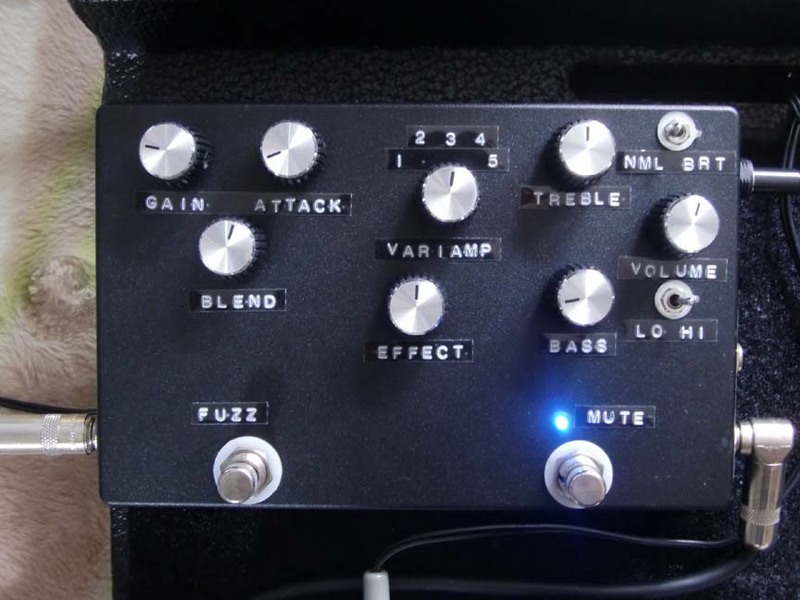 Total estimated cost for building this quality sounding vintage Bass preamp is around $150US, and parts can be easily ordered online through a Mouser Shared Project. Kits are currently available and ready to ship !! Email me for details and payment procedures. ... and built in a Week !